Win a Free Teeth Whitening Package! Always wanted that Whiter Brighter Smile? 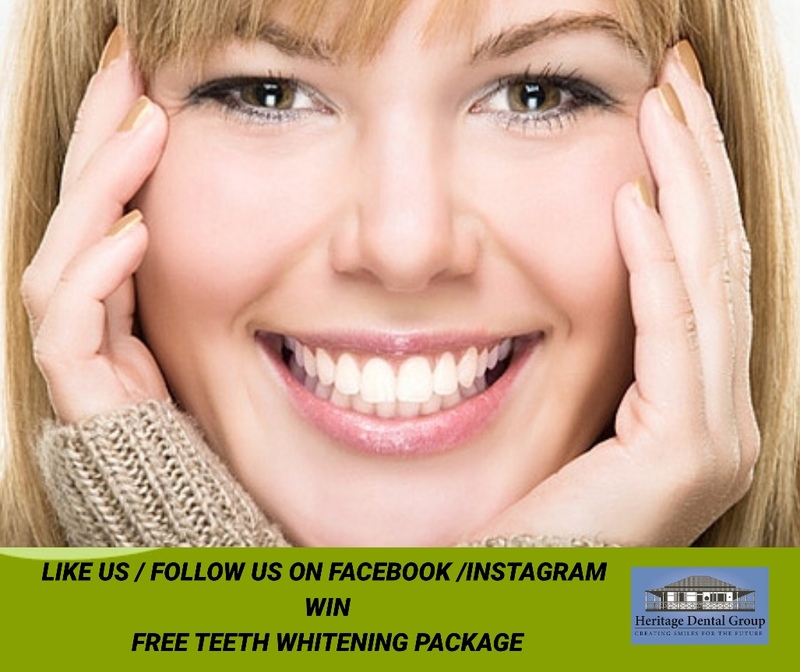 Like us or follow us on Facebook/ Instagram and go into the draw to Win Free take home teeth whitening package. Take home Teeth Whitening kits– Take home teeth whitening procedures are typically carried out at home by the patient following a consultation with a dentist. Teeth whitening may not be appropriate for all patients, so before commencing any teeth whitening procedure it is best to discuss expected outcomes and time frames with us. Where appropriate, we will take impressions of your teeth to prepare a custom-made ultra thin mouth tray. The tray is used to hold the bleaching gel close to the teeth. Whitening gel is placed in the tray which is then worn for up to 1-2 hours a day. Results are usually seen within two weeks. We will advise you on how long to wear the tray both initially and for maintenance. Take home teeth whitening kits are easy to use in the comfort of your own home and time. Are you considering professional teeth whitening? Book your complimentary 30 minute consultation with Dr Singh today and take the first step towards a healthy bright smile!